The nectar from 300,000 flowers creates a single ounce of honey. That means 9.6 MILLION flowers are in this quart of honey. 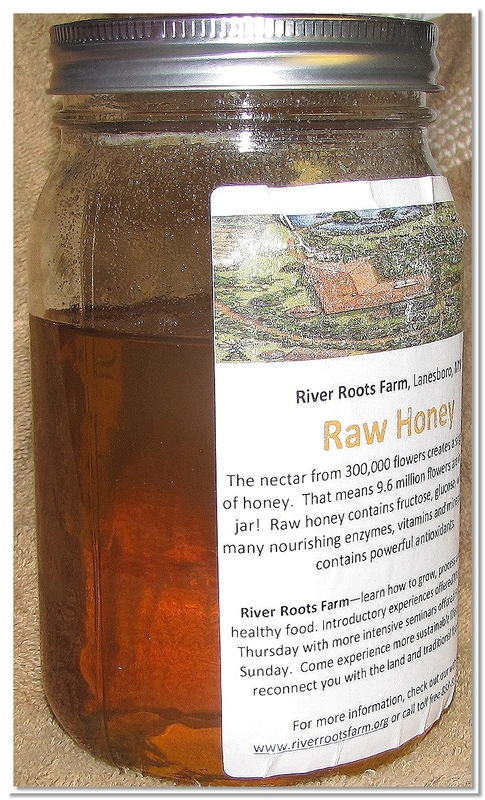 Raw honey contains fructose, glucose, water and many nourishing enzymes, vitamins, minerals, and anti-oxidants.